that is just a twinkle in your mind’s eye. You are the woman for this (amazing, audacious, incredible) job. You have precisely the right amount of grit to know how to do this. You are the one people need to hear this from. With the raw, real feeling of it. All the challenges, all the suffering, all the self-doubt has been the perfect preparation for you to be right here, right now. You have the experience that is needed to touch people. This is why people need this from YOU. to show them that it is possible for a human person to do this kind of thing. is your belief in yourself. Yet, you do believe in yourself. Yes, there are fears and doubts. where you can't see it, feel it or touch it. there is a quiet, confident knowing about this. That this is precisely what you can do. It is what your soul is yearning for you to do. It is what you have been magnetised towards from the beginning of time. It has always been this and you. just hang out in the vibration of trusting this path. Let it feel good to know that it is coming. that little step that is doable. Chip away at creating this dream. This is going to take some time, but that is okay. that is going to get you to trusting it and making it happen. You believe in this path. 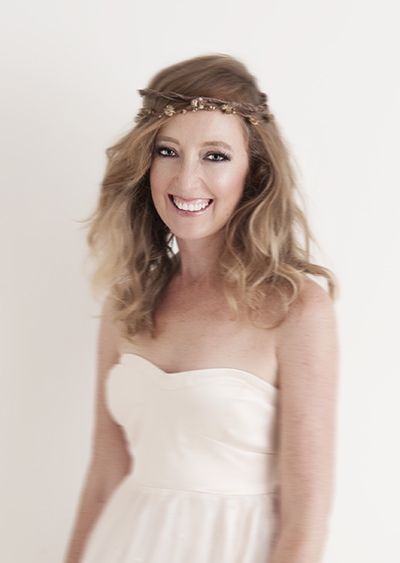 Nicole Mathieson is a kinesiologist, life coach and presenter. Nicole’s work focuses on making the shift from head to heart consciousness. She helps her clients out of their noisy, negative heads and back into their courageous hearts, which shifts their reality, their experience of the world and most importantly, their capacity to believe in themselves. The key to healing for Nicole is understanding that our hearts are more expansive, more powerful, more capable and a whole lot more radiant than we give them credit for. Go to www.nicolemathieson.com for Nicole's top 4 steps to move from the head to the heart, as well as her heart empowering online program "The 30-day shift from head to heart".